These days buying a home is a great investment however given the current economic environment it is not always possible to construct a new house but rather maximize the potential of our current property. 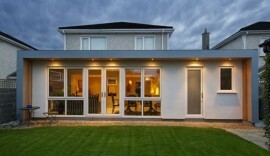 Home extensions are the best solution for people who want to have a creative and innovative home. Extensions consist of a variety of types and styles suited to your family size, taste and budget constraints. A current trend in the market place is the extension of the family home in line with the expansion of the family. Home extensions are also an effective way to increase the home overall value and you can fetch more money that you can anticipate. Single storey extension – in this type of extensions you can either renovate or expand the rear or the side portion of the home. This is an excellent choice if you want to get some additional space for your family use. This method is cost effective and will not cause any major disruption to the old home. There are various designs and models to choose from and Platinum can support you through every step of the way. Double storey extension – this double or two storey extension brings about a substantial improvement to your internal area at a very nominal cost. This is an excellent way to dramatically increase the current living space in the home in line with the expanding size of your family. Partial extension – this consists of an extension to one aspect of the house. A common partial extension would be a kitchen extension. A formal dining room is a trend from the past with the modern family preferring the idea of an open plan kitchen suitable to support day to day living as well as hosting dinner parties on occasion. This new space allows you to create the modern customized kitchen that you’ve always wanted. A key advantage underpinning all variations of extension is the opportunity to maximize space and enhance your existing home profile to give you the utmost flexibility in your home.